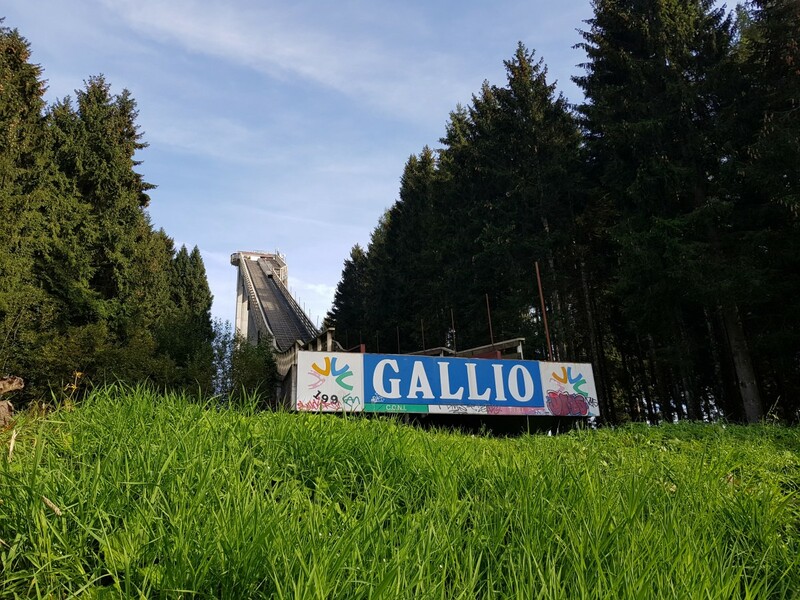 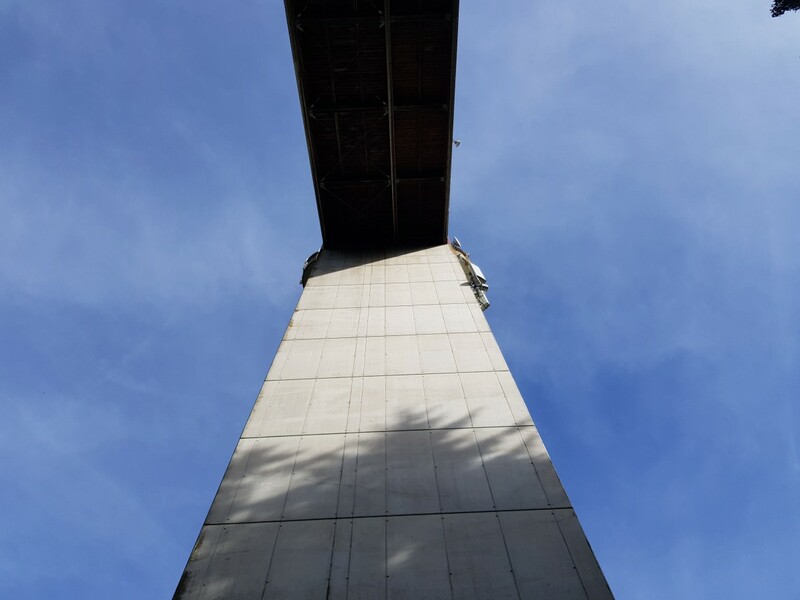 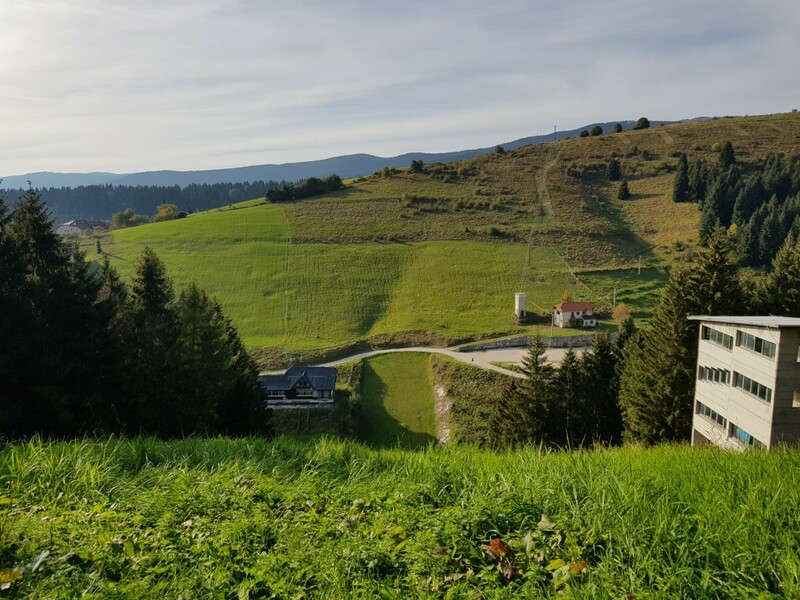 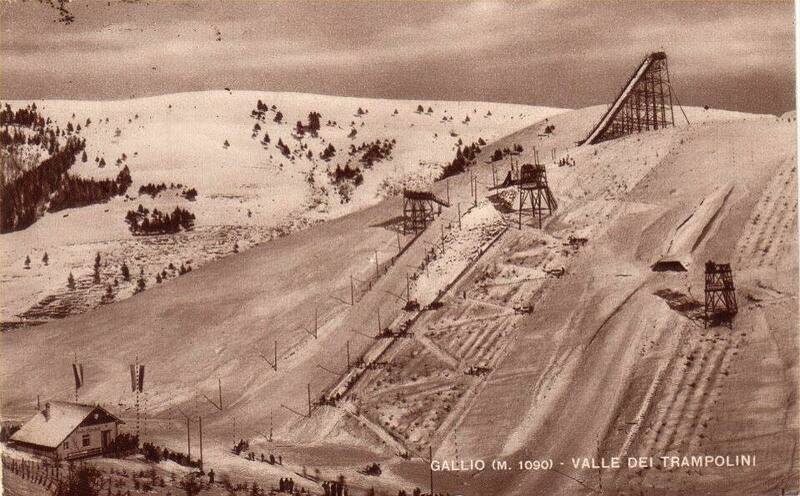 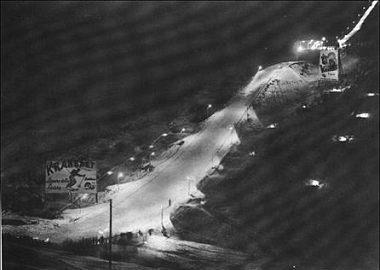 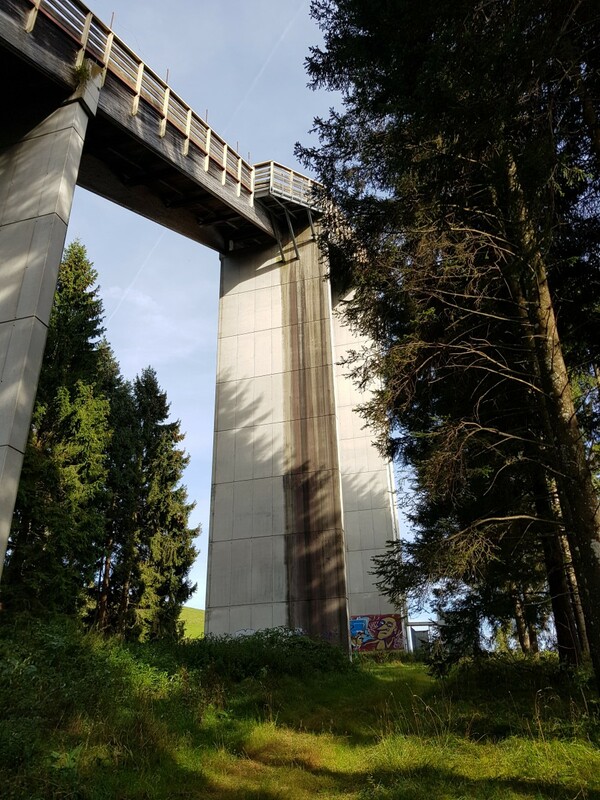 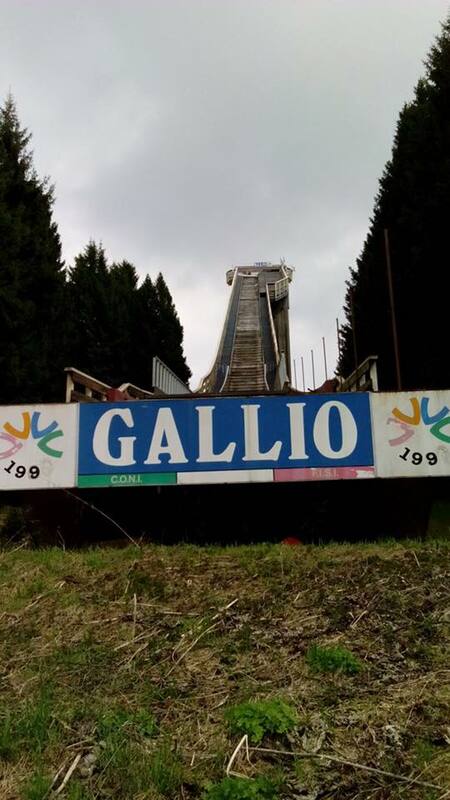 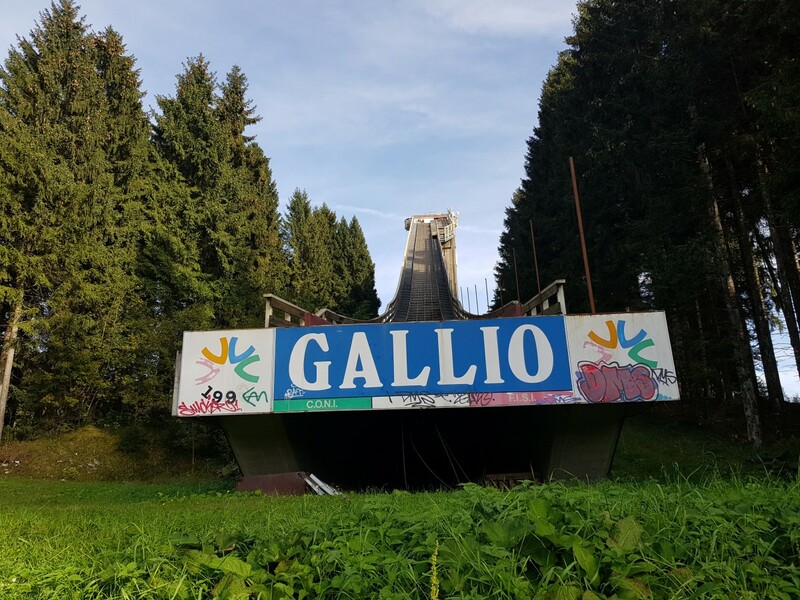 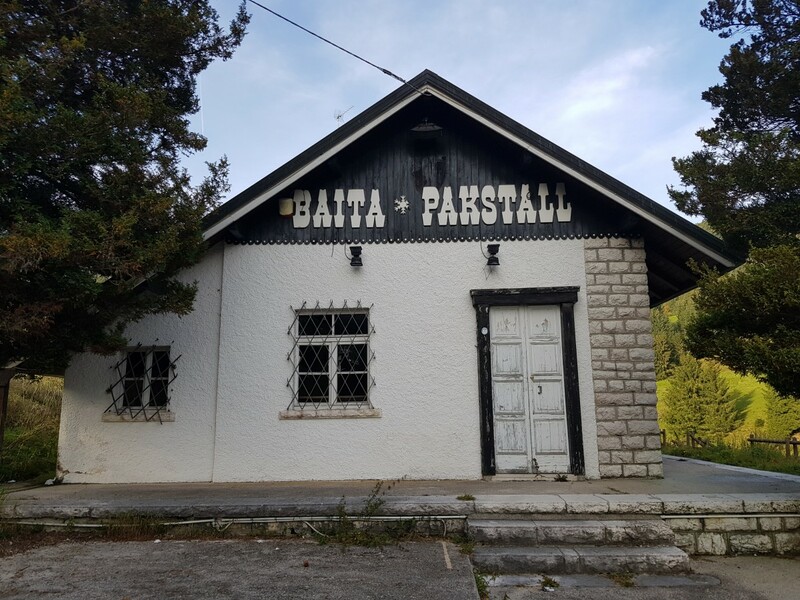 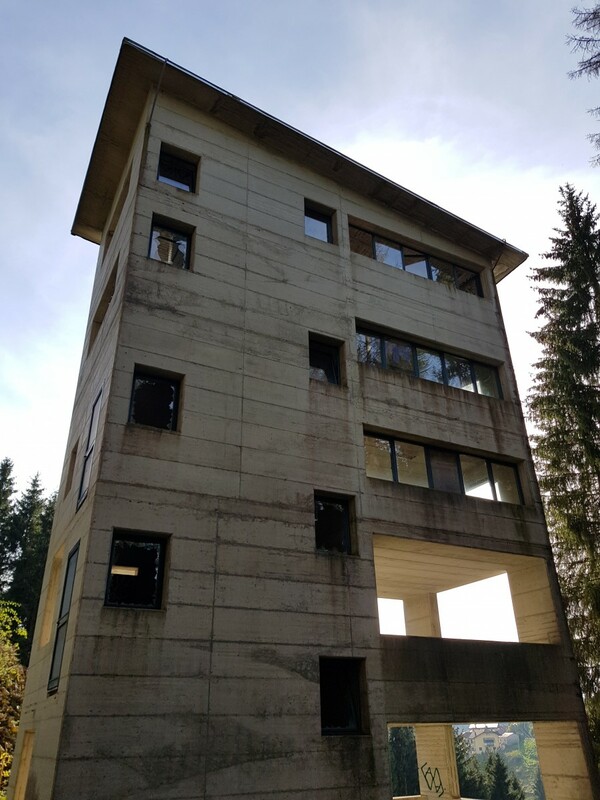 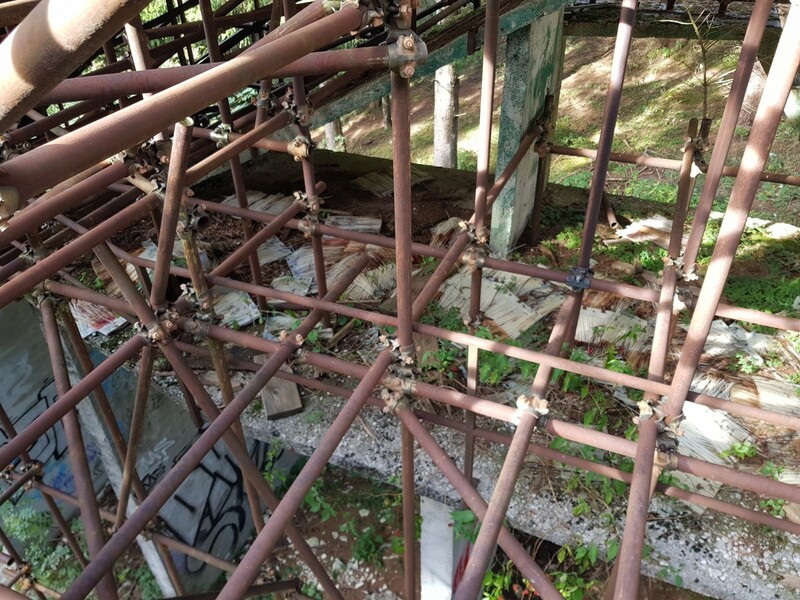 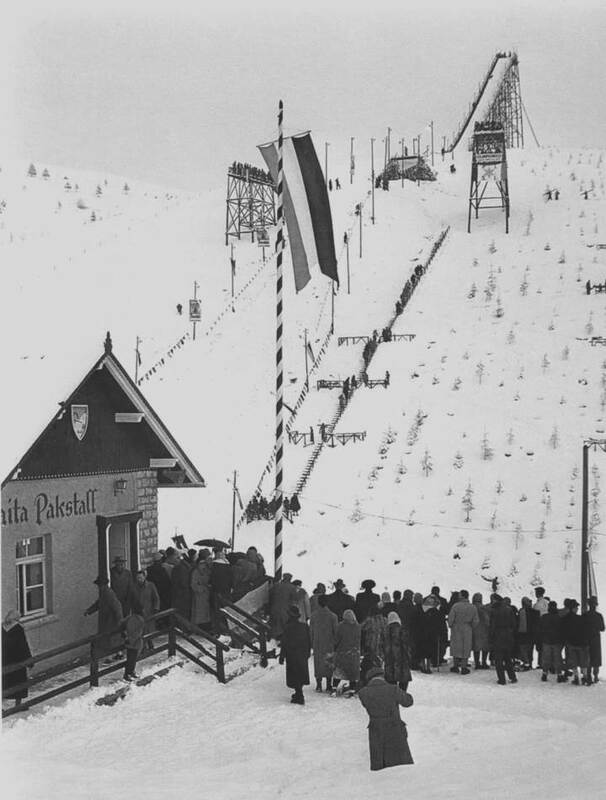 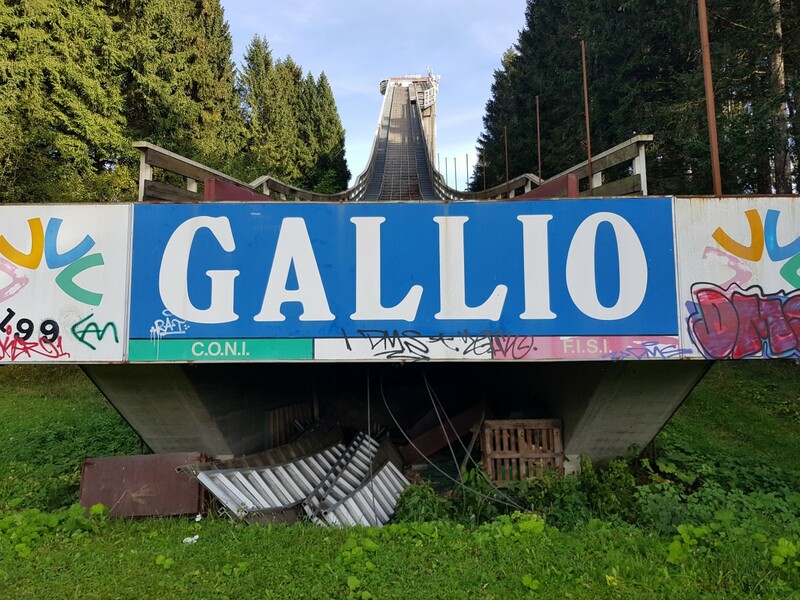 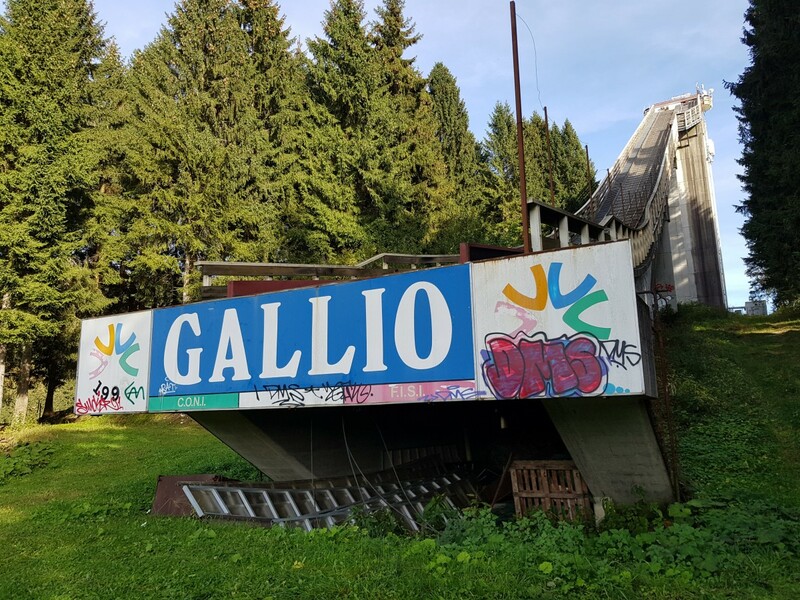 Directly after World War II in 1946 at Gallio, located on the plateau of Sette Comuni, the construction of a 60 meter ski jump at Pakstall started and on 1947-03-27 the inauguration was celebrated. 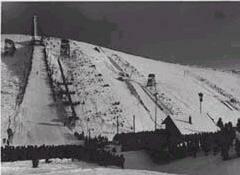 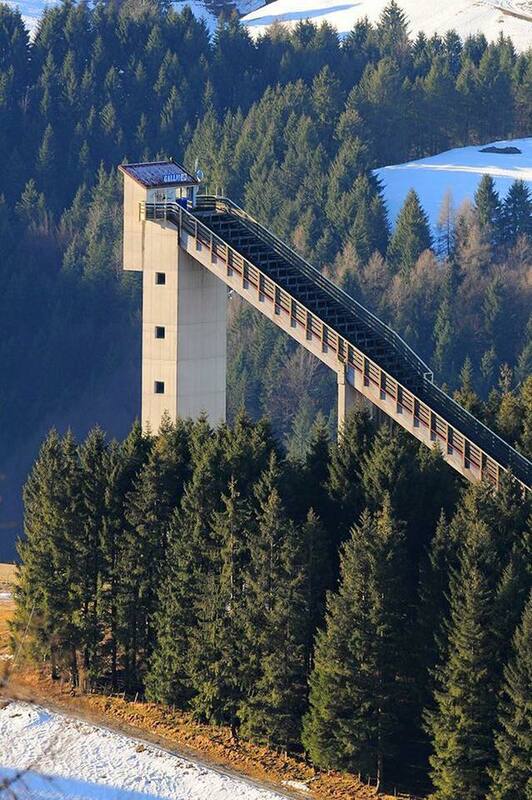 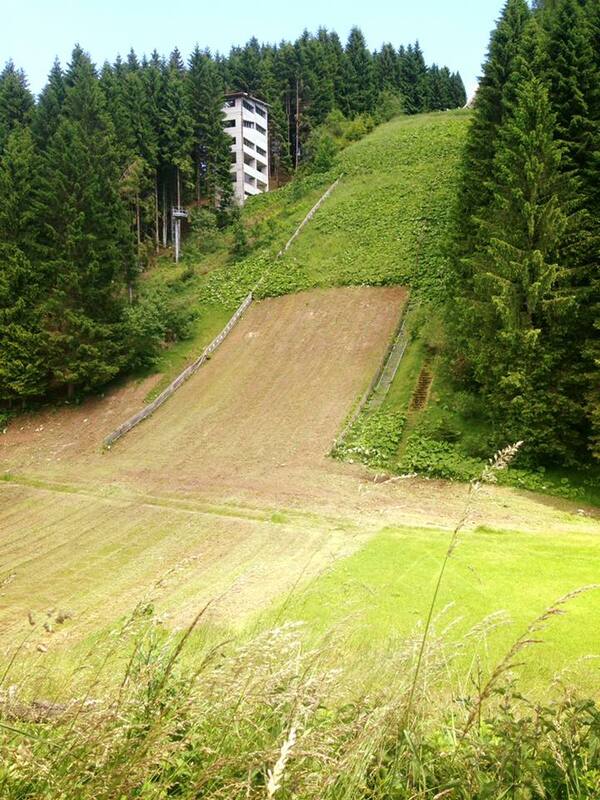 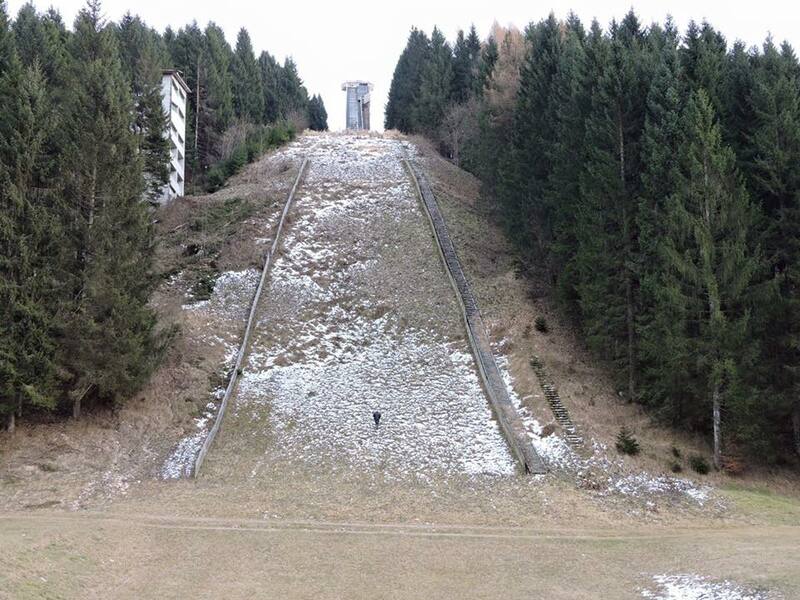 Only two years later also the two junior ski jumping hills were built. 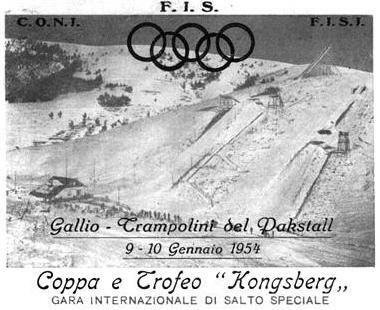 On 1954-01-09 the very first international “Trofeo Kongsberg” was hosted and in the following years further international (junior) competitions were organized. 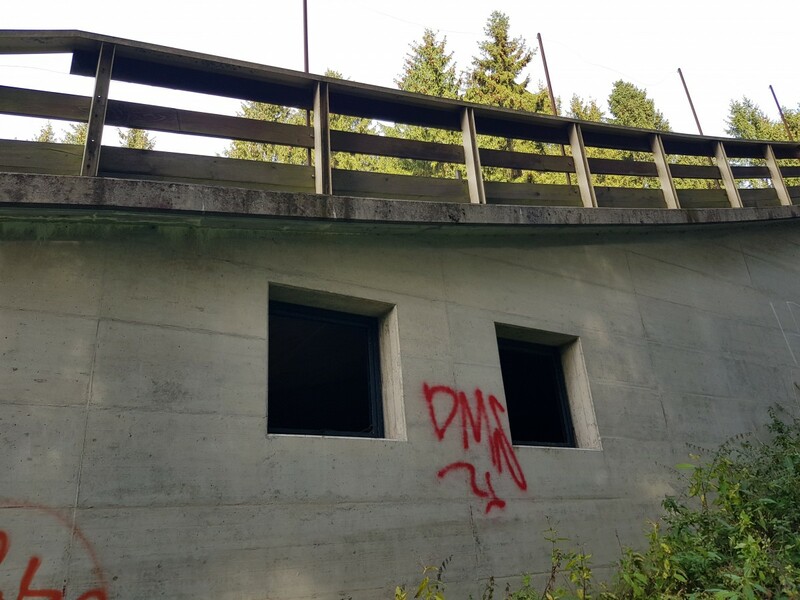 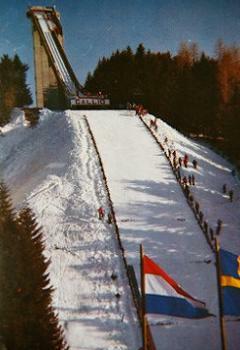 In 1975 the 60 meter hill was modernized ans slightly decreased. 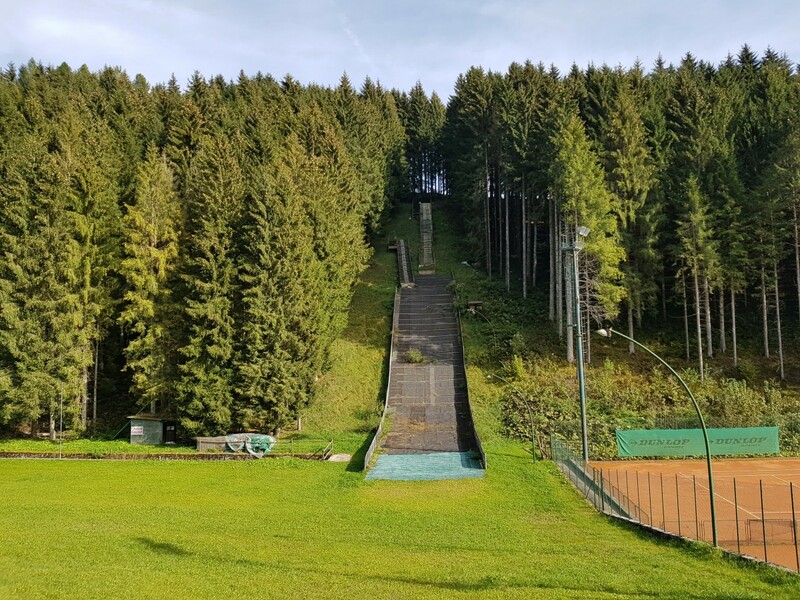 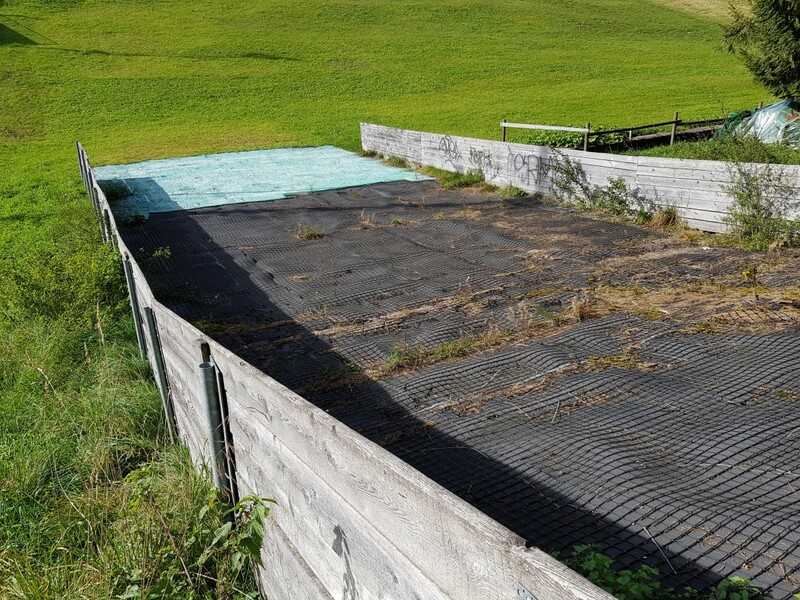 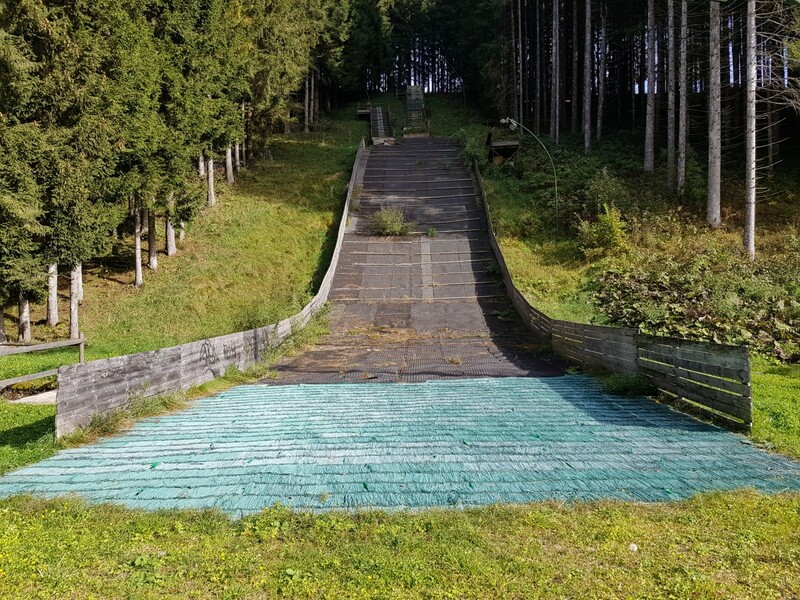 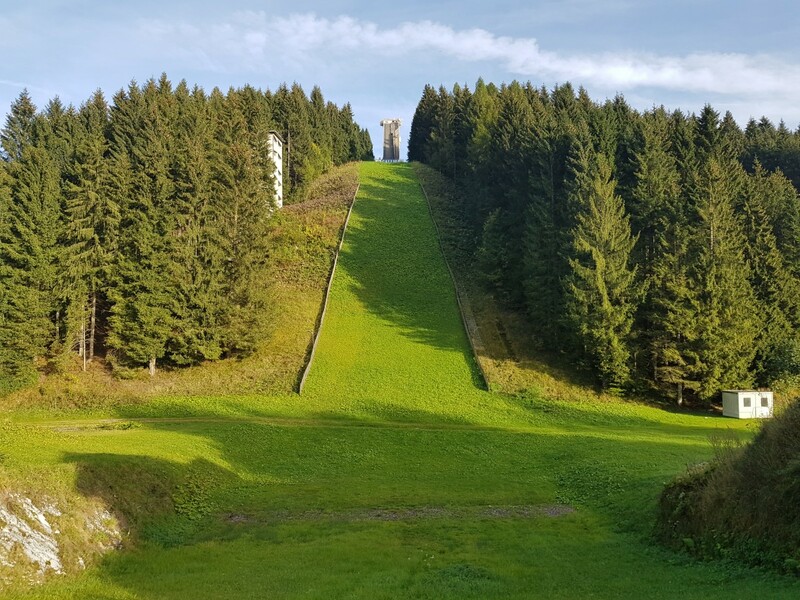 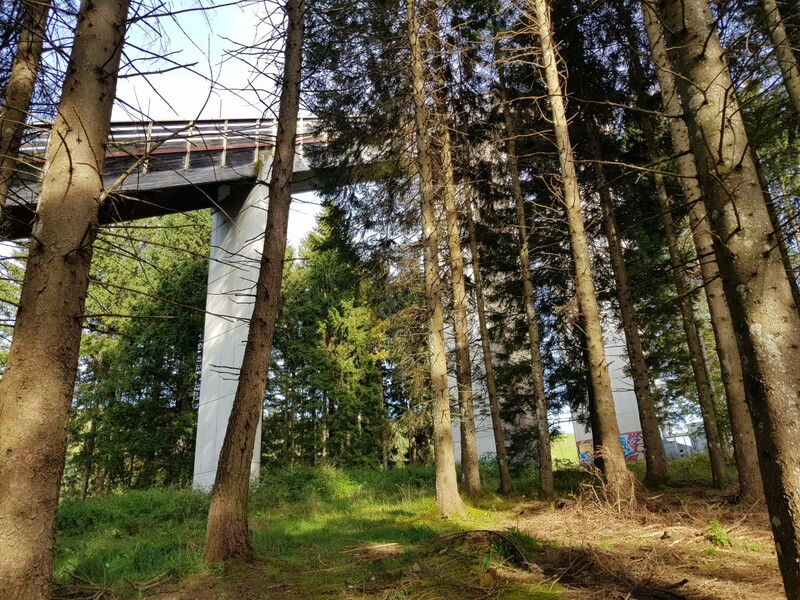 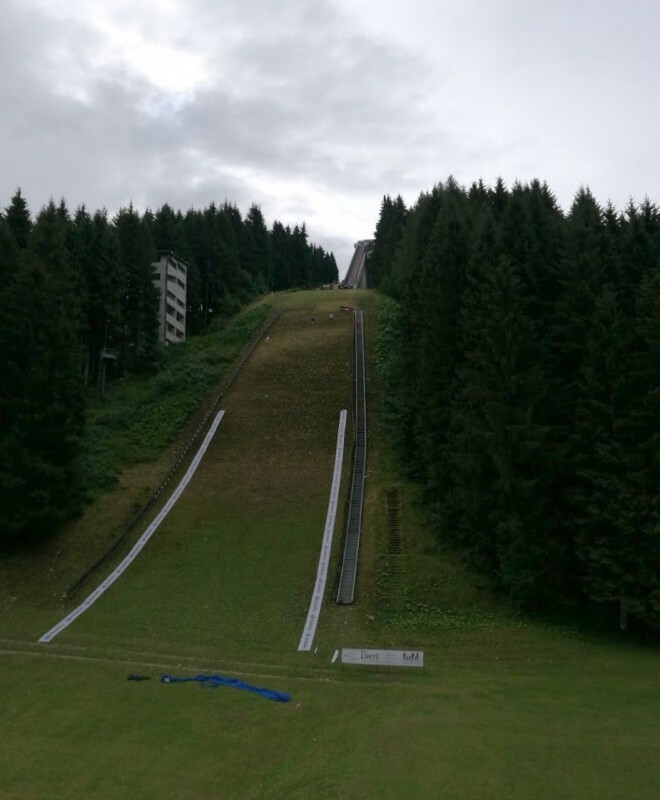 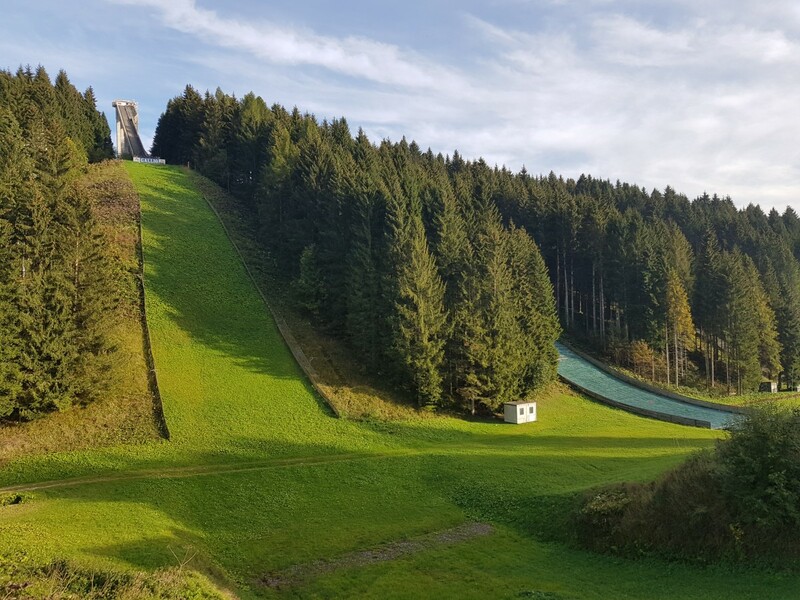 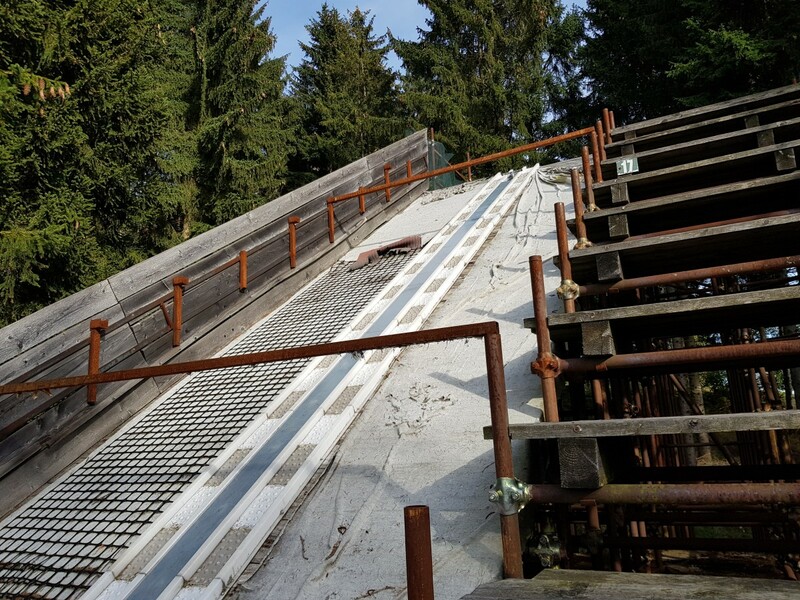 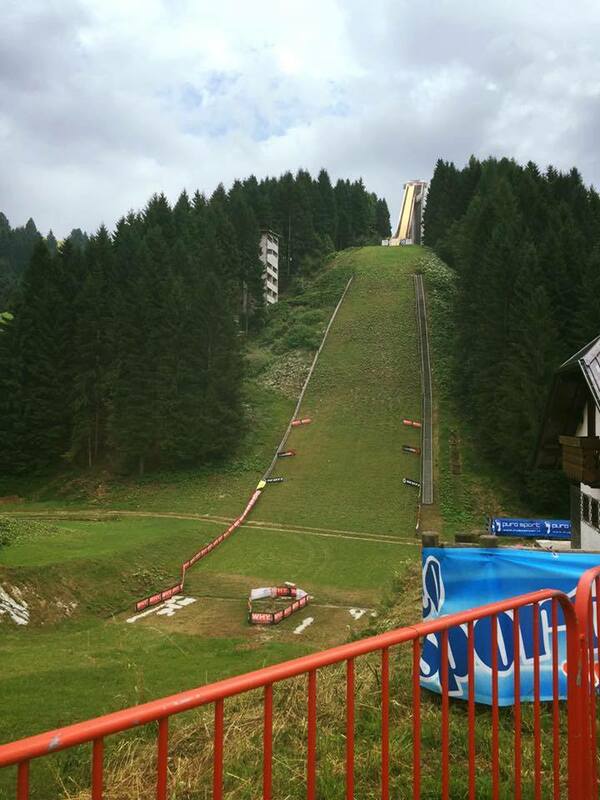 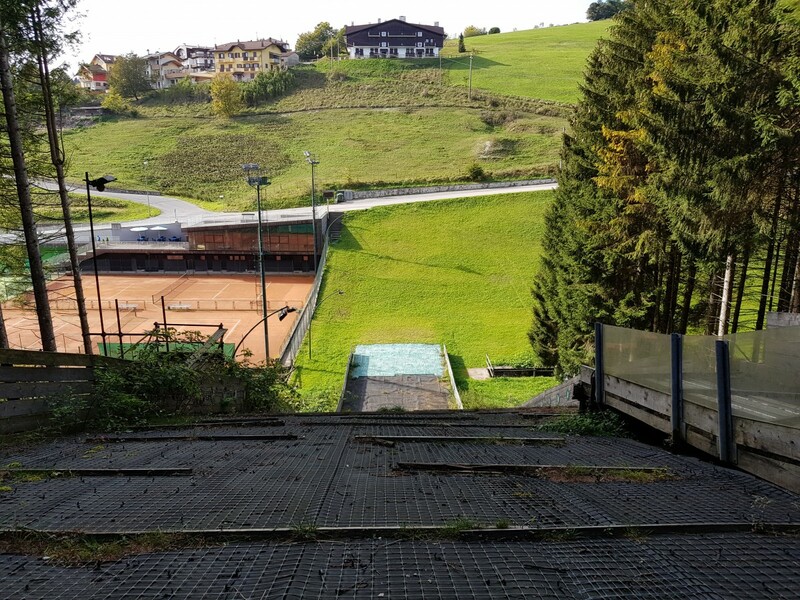 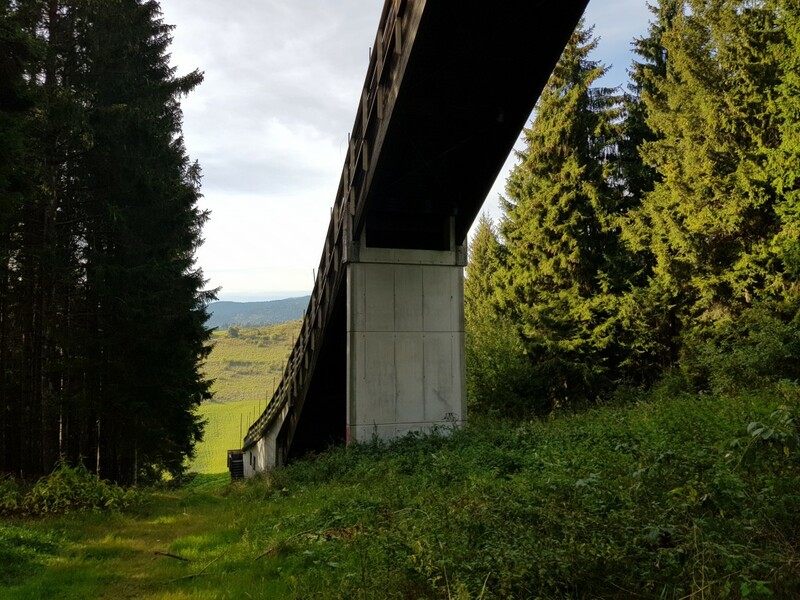 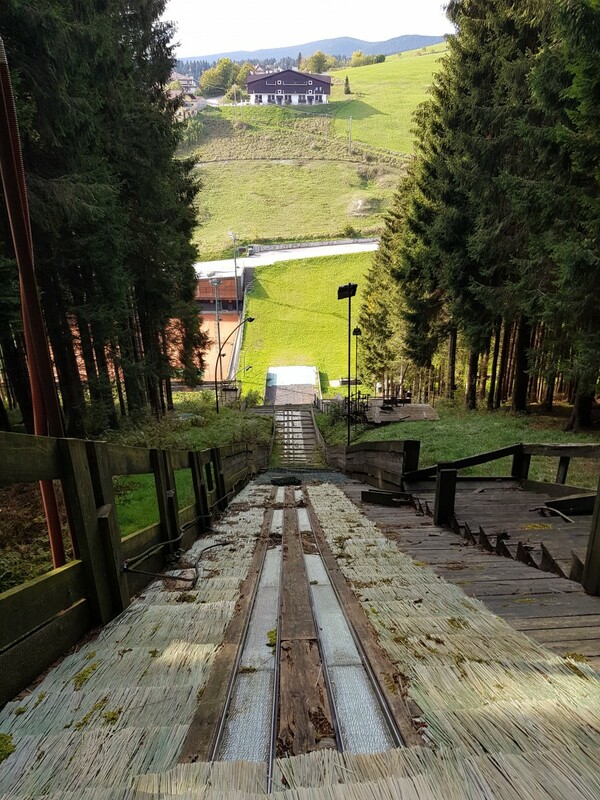 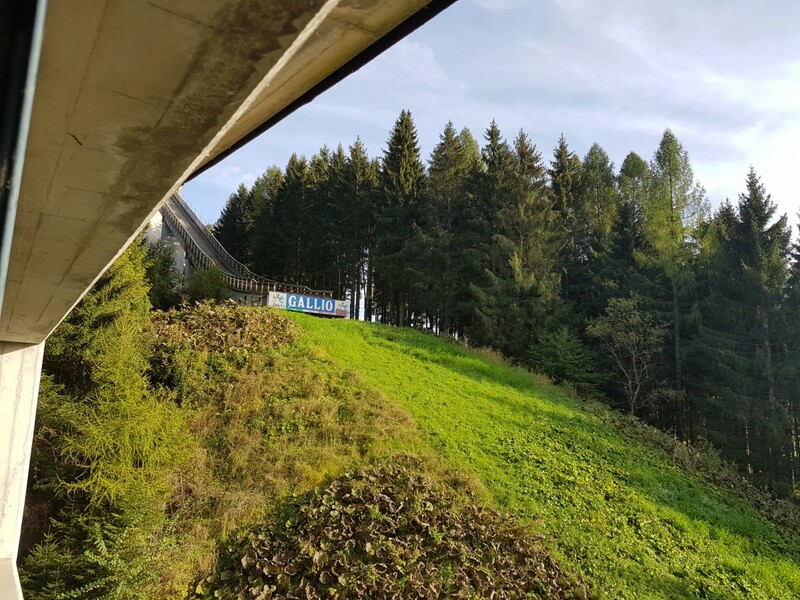 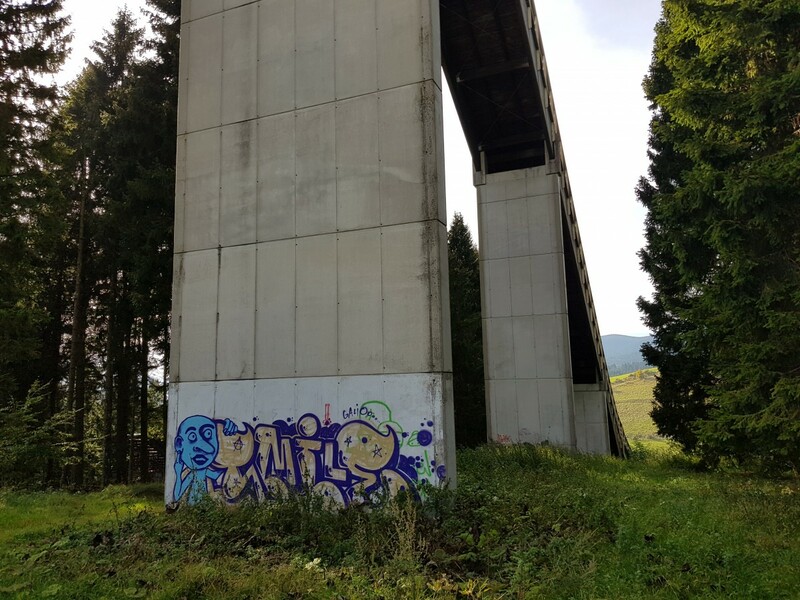 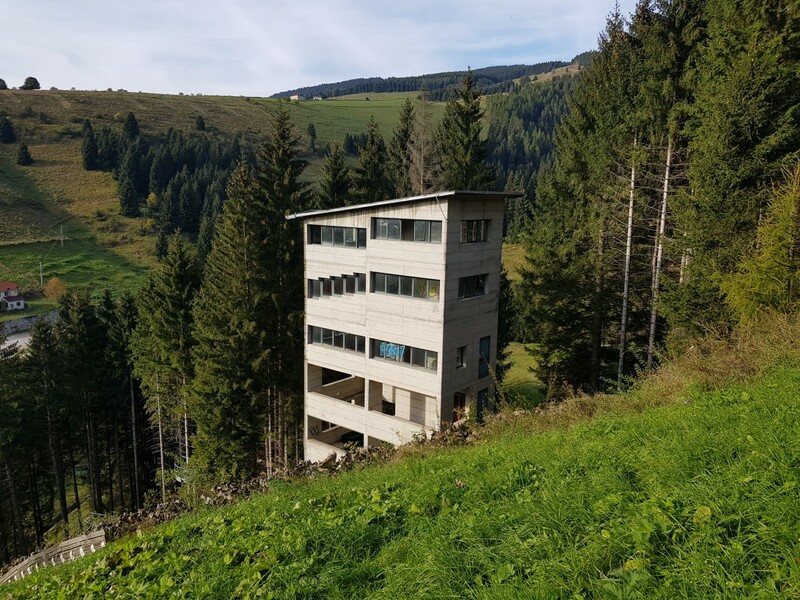 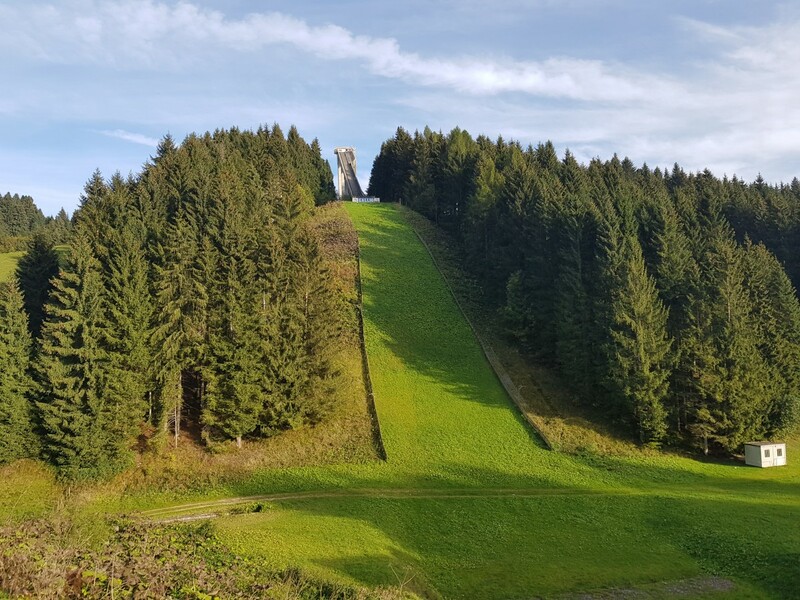 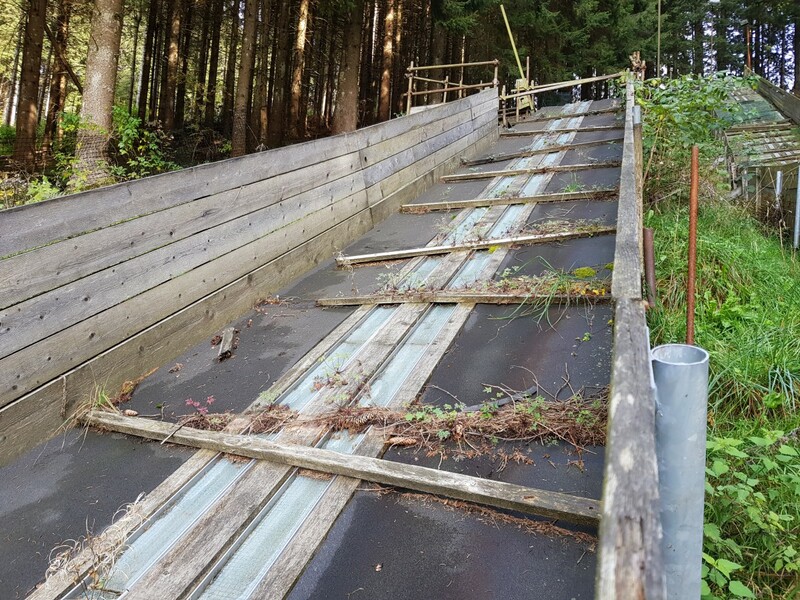 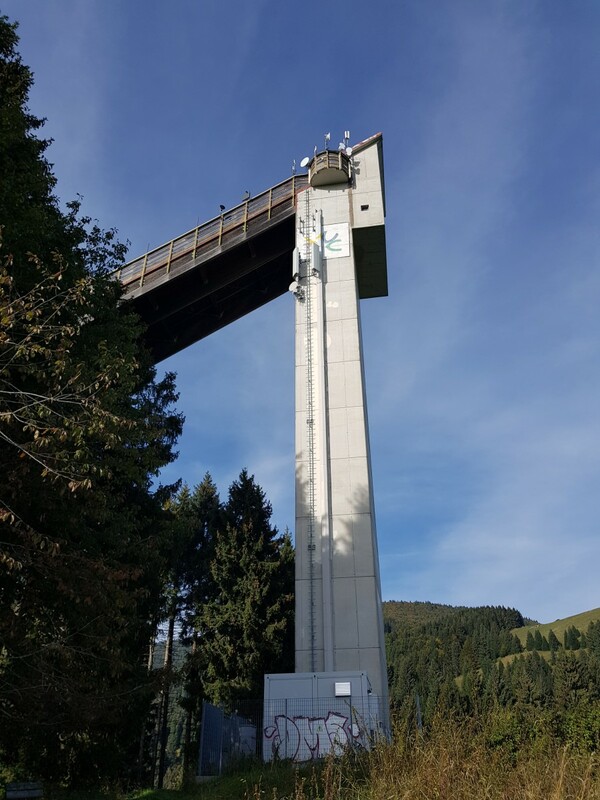 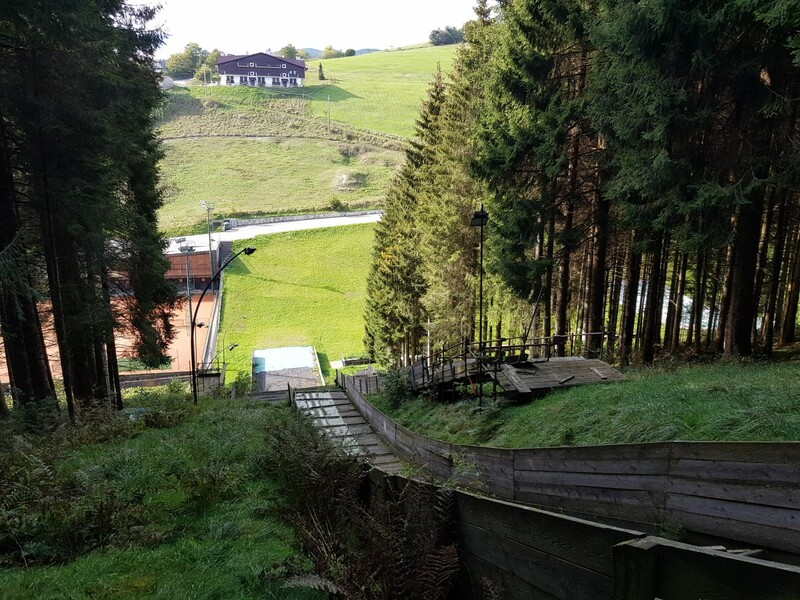 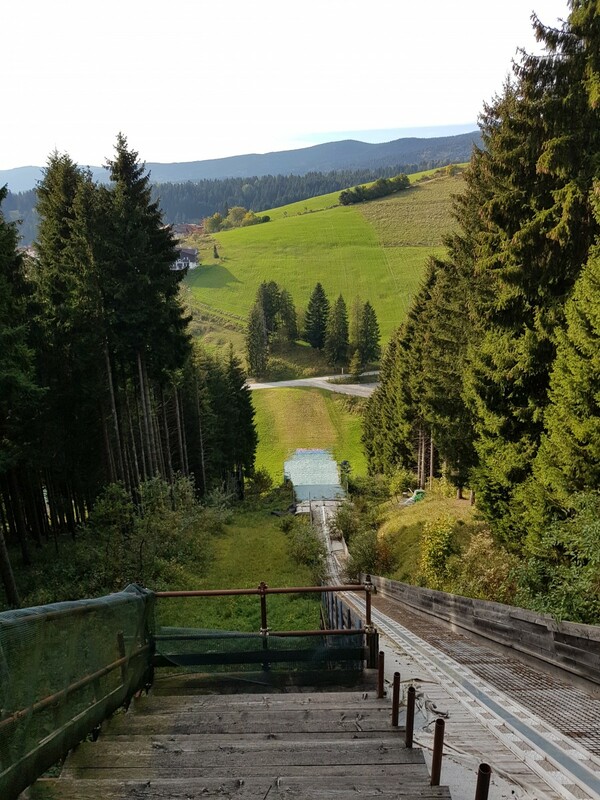 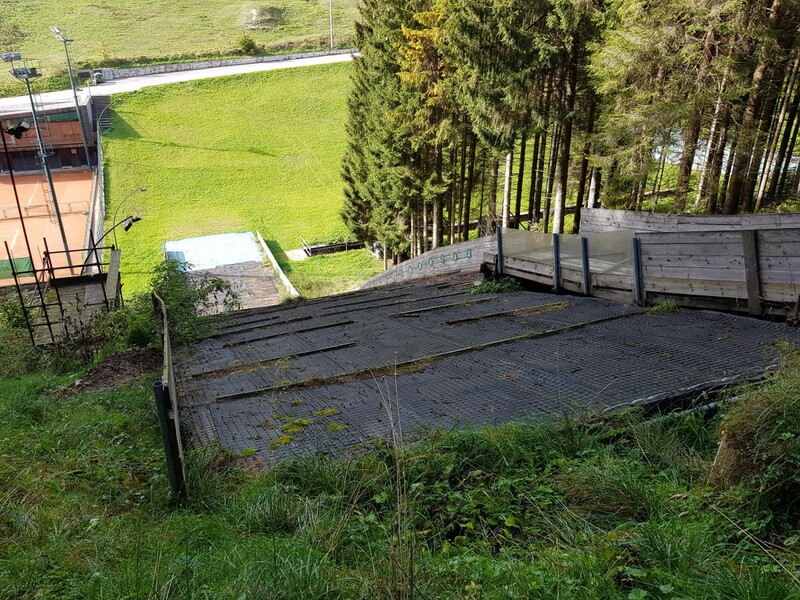 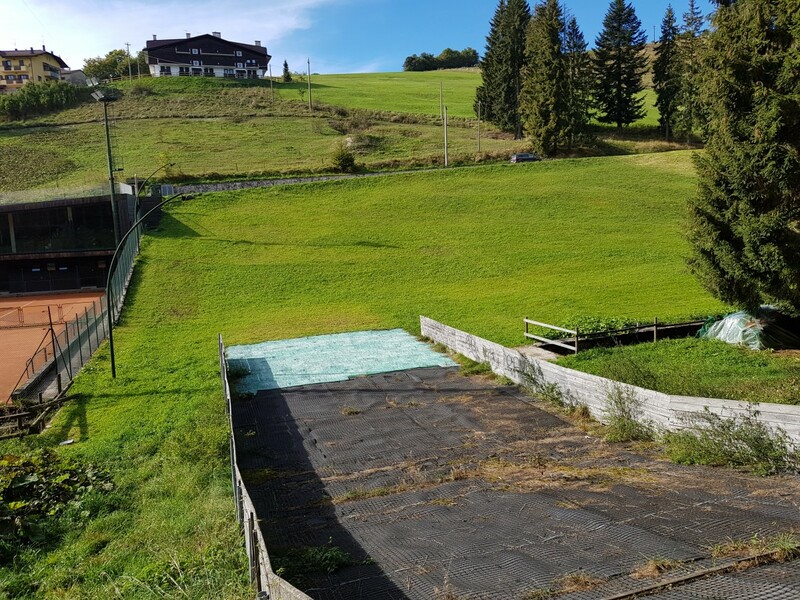 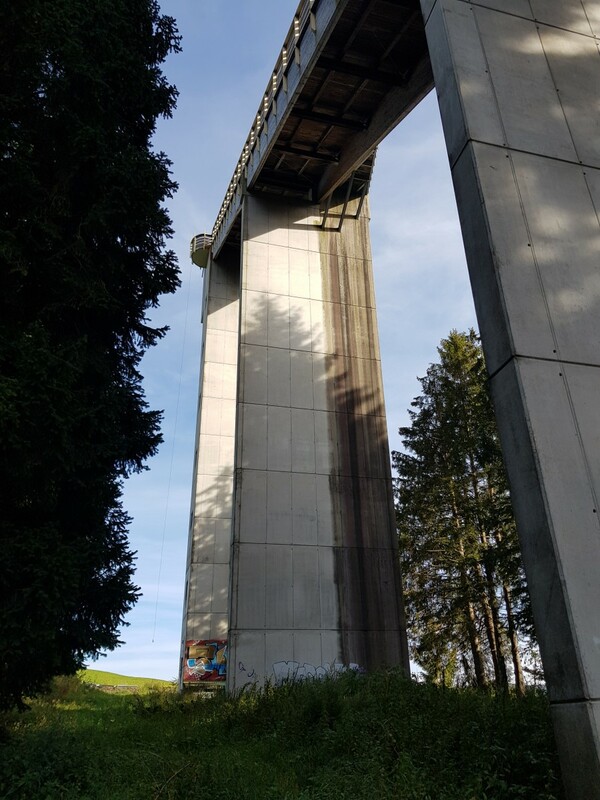 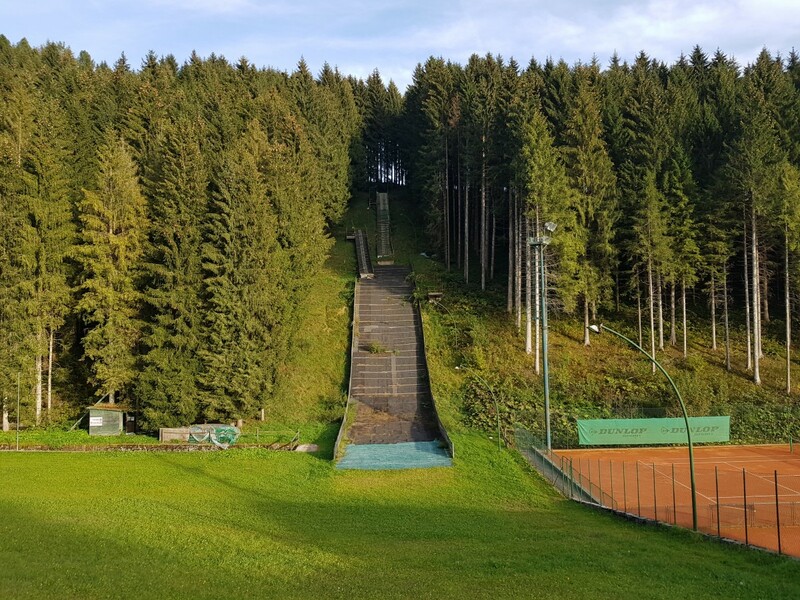 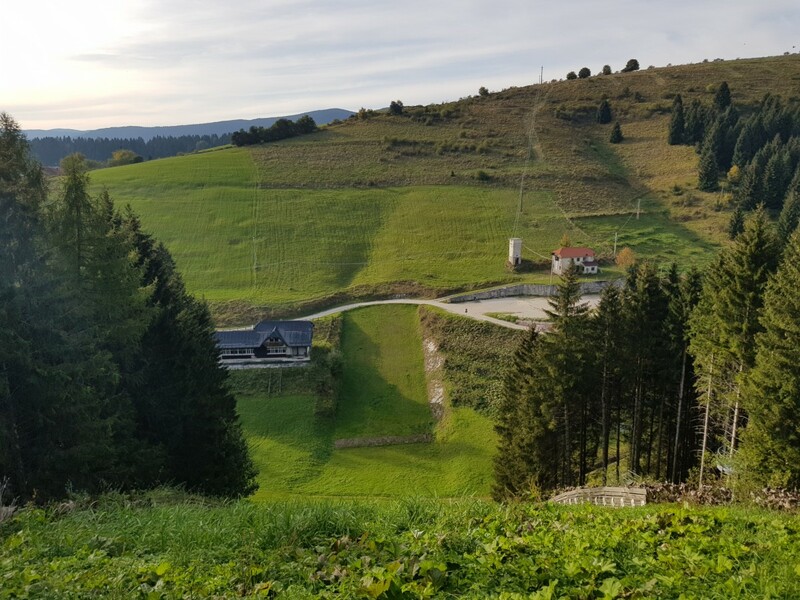 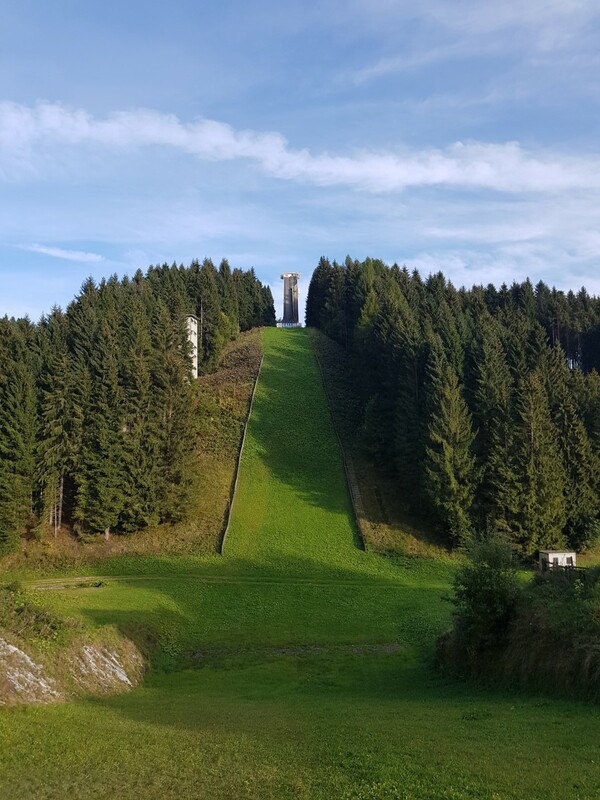 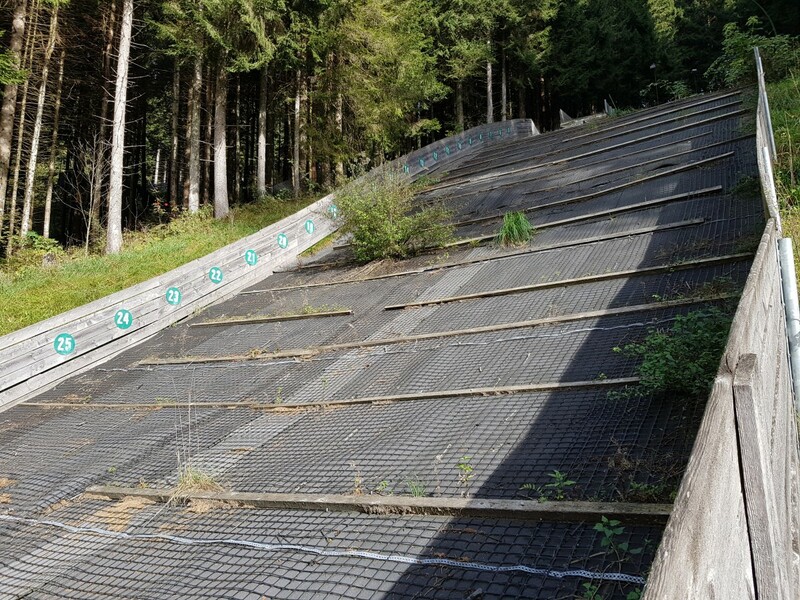 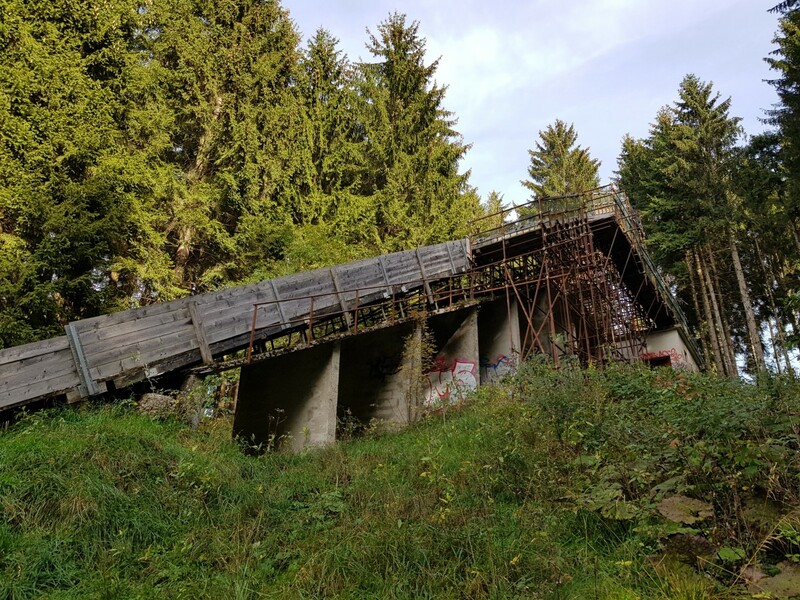 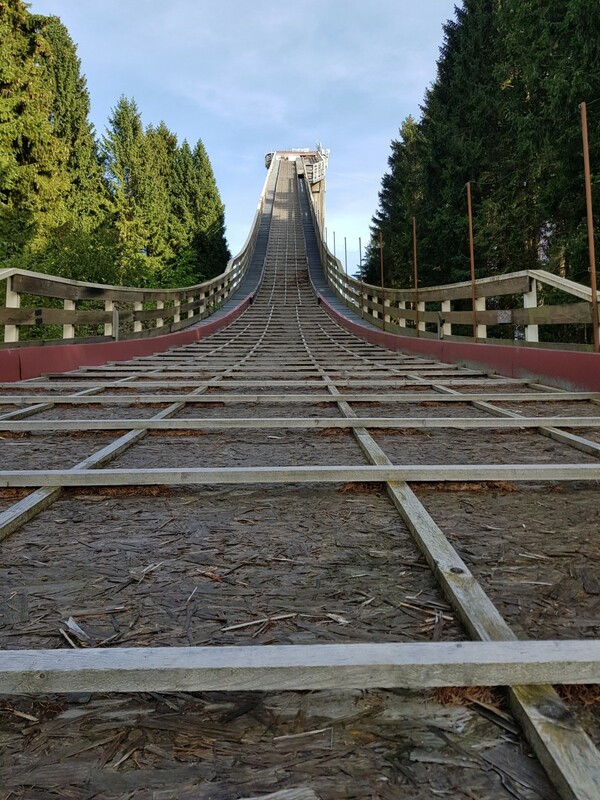 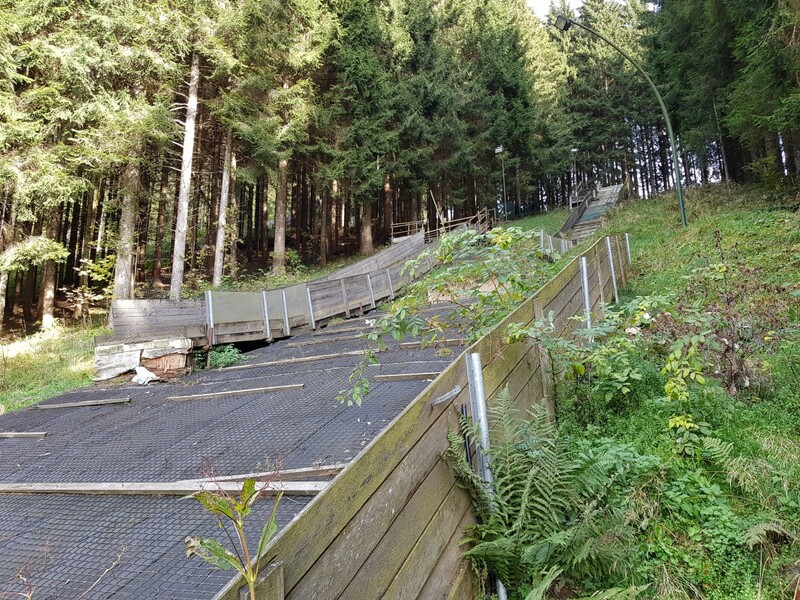 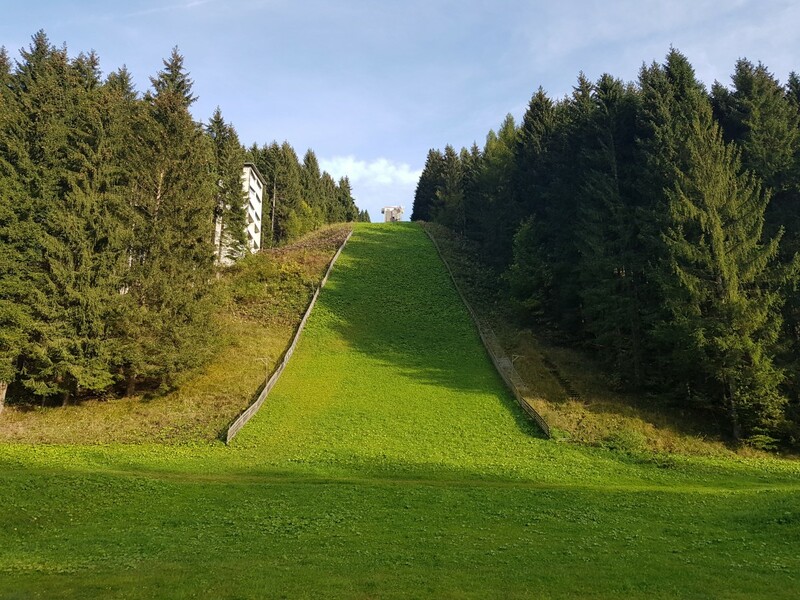 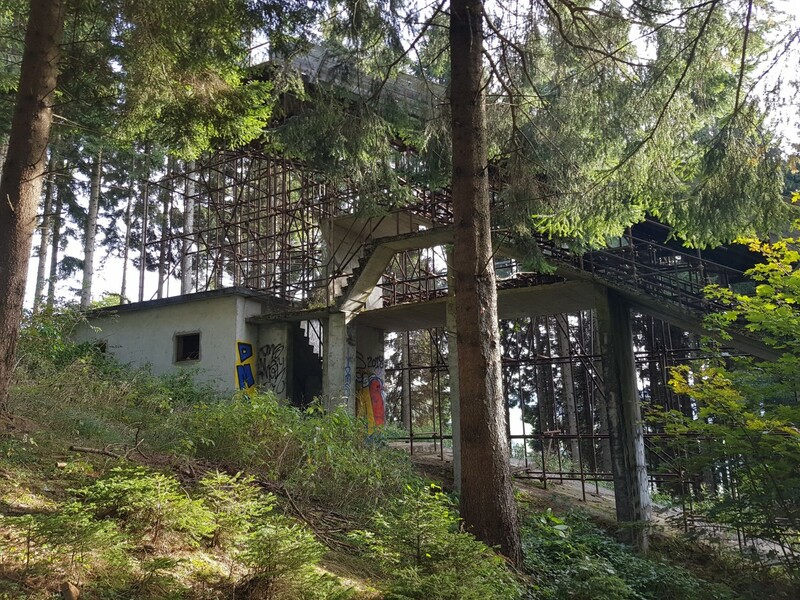 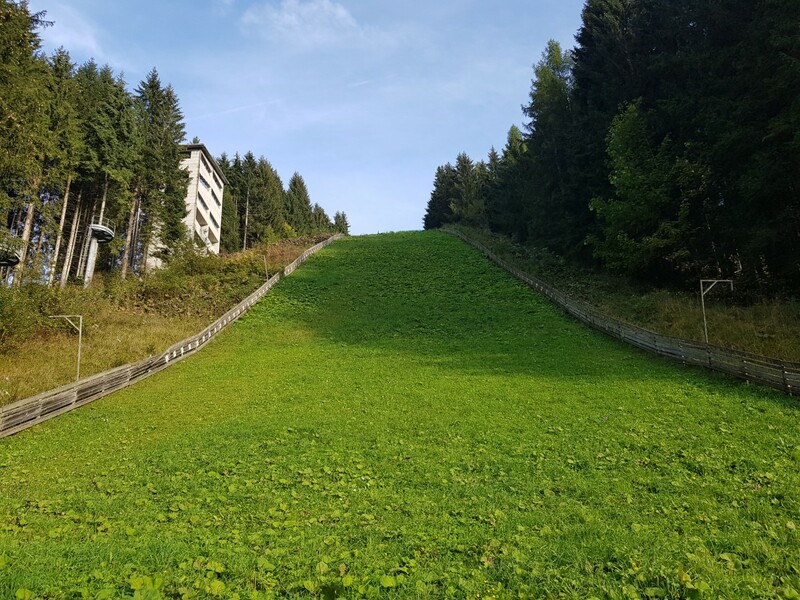 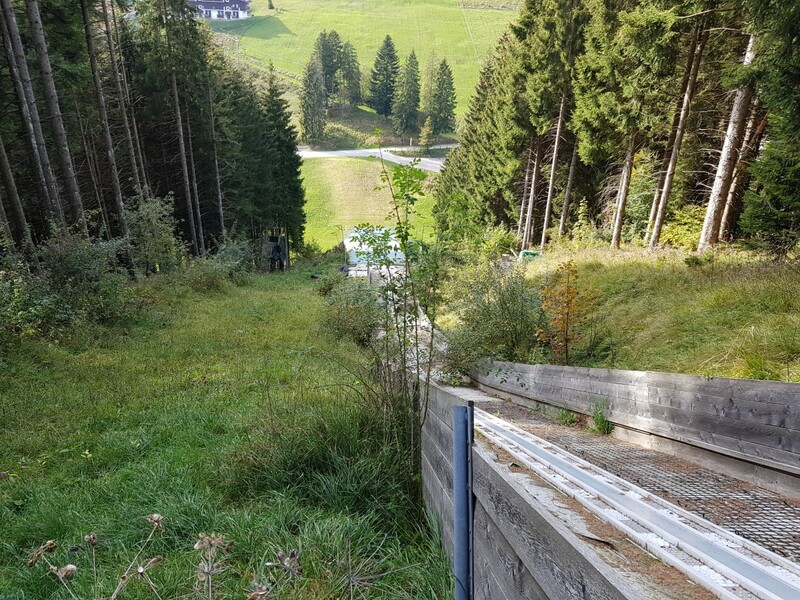 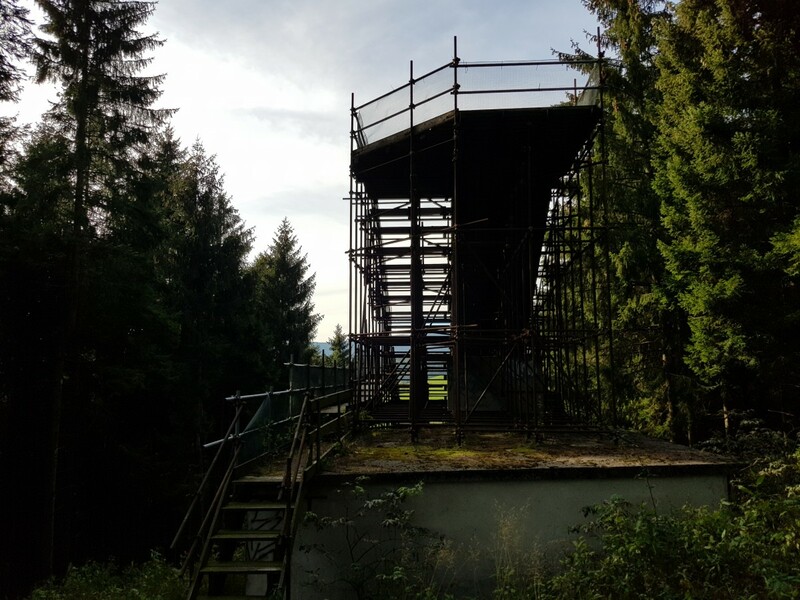 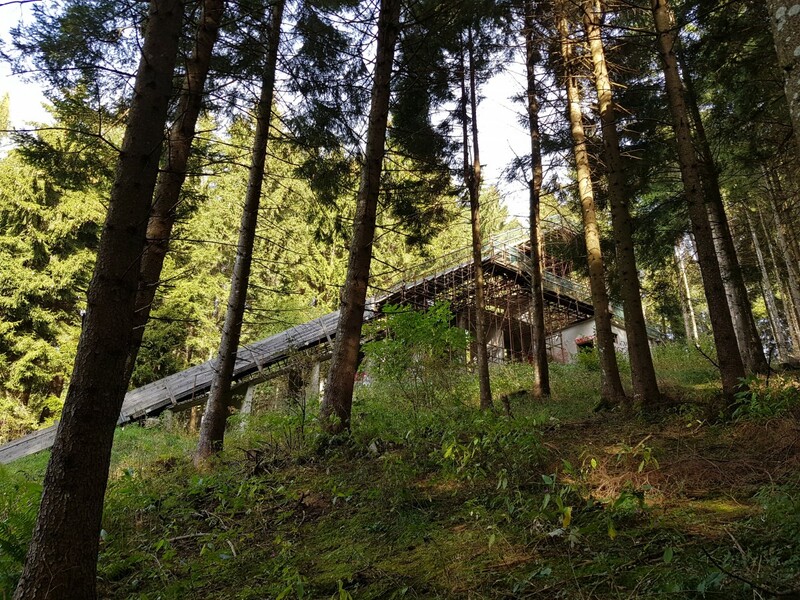 For the Nordic Junior WSC in Asiago in 1987 the larger K95 ski jumping hill was built, which also hosted a World Cup competition in 1988. 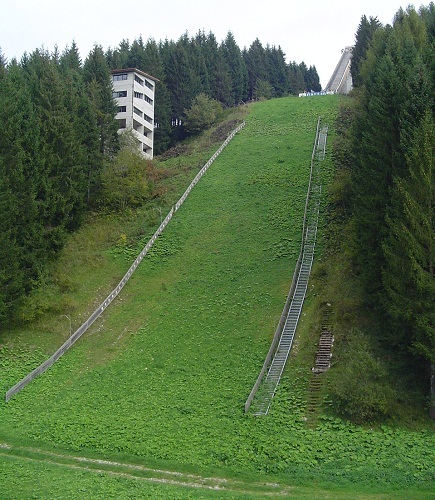 In 1990's Europa Cup or Continental Cup competitions were organized at Pakstall almost every year, and in 1996 another Junior-WSC took place in Asiago. 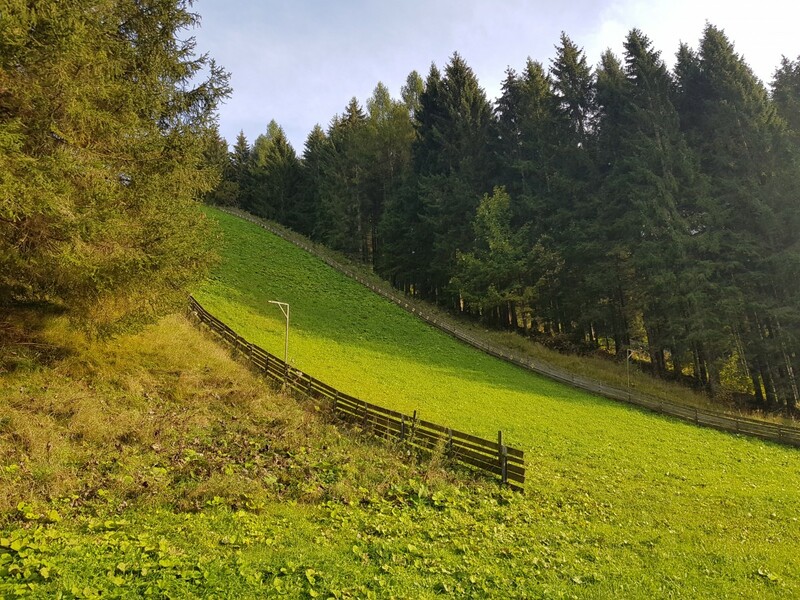 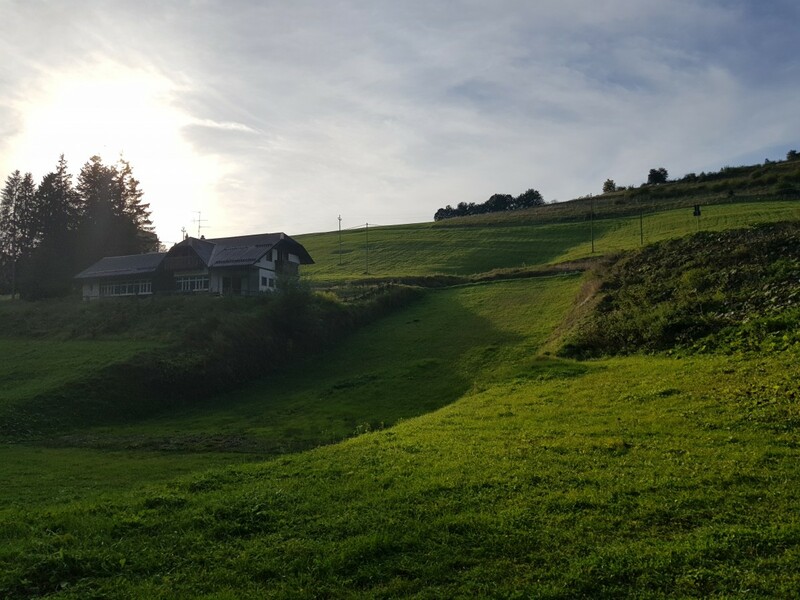 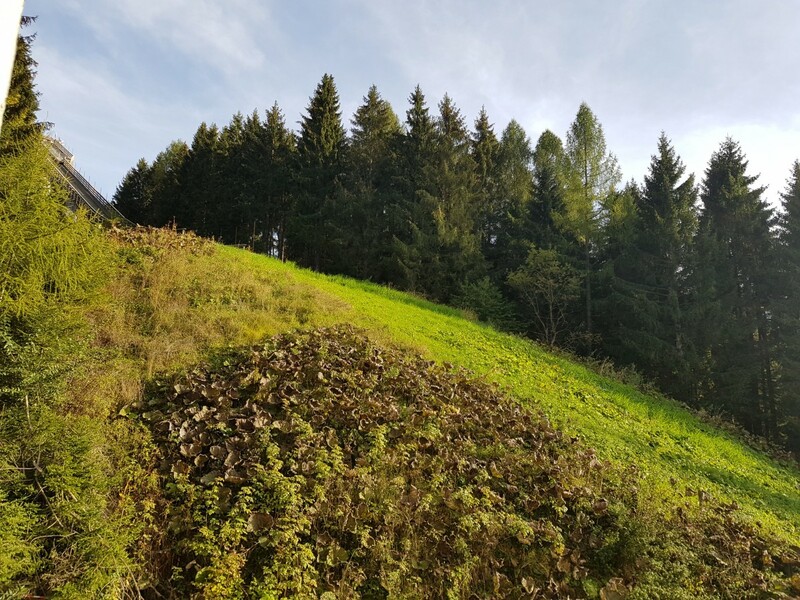 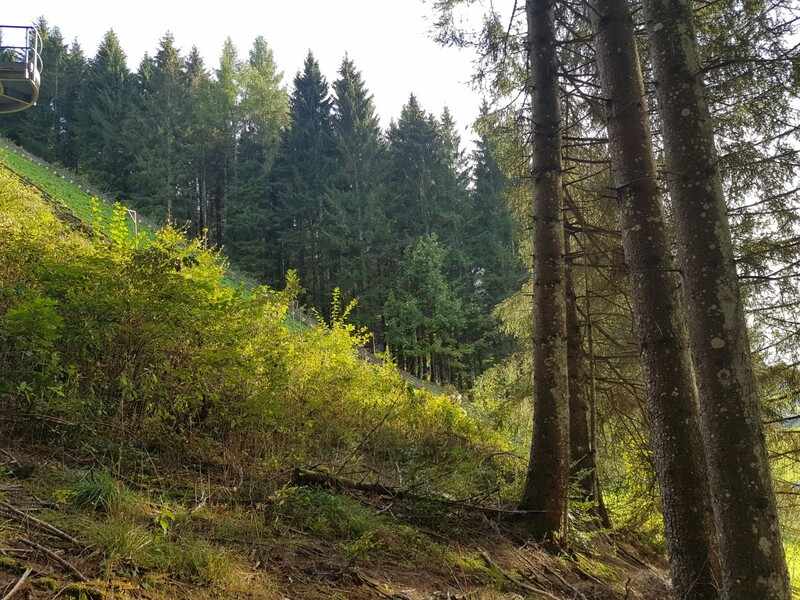 Since 2002 the hill certificated of the normal hill, which was sometimes listed as K92 or K95, expired and the hill has not been used anymore. 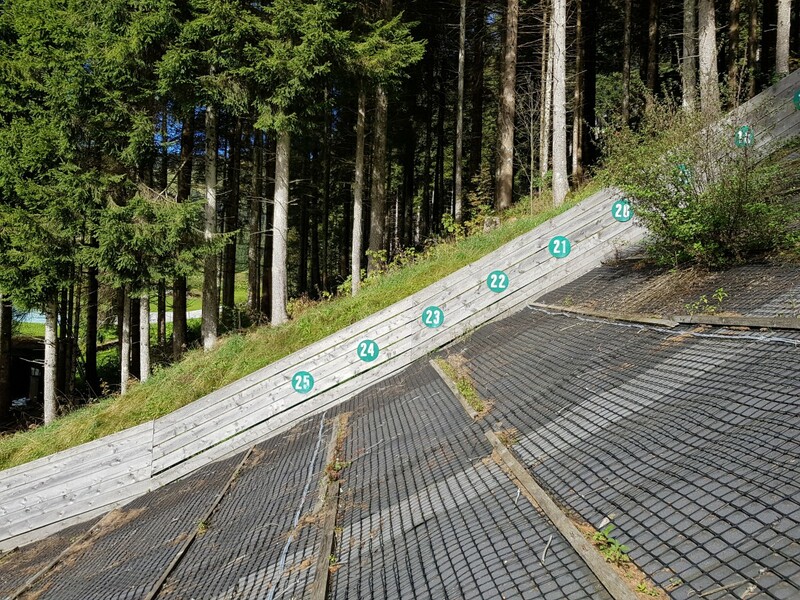 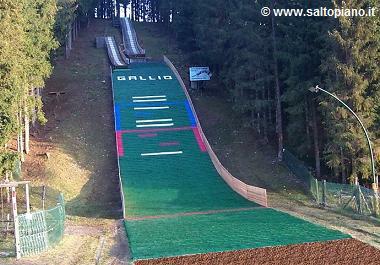 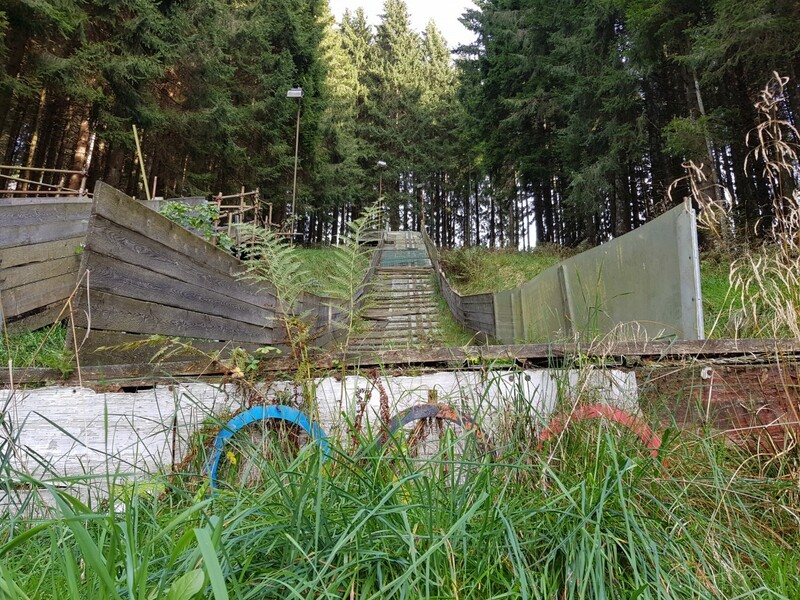 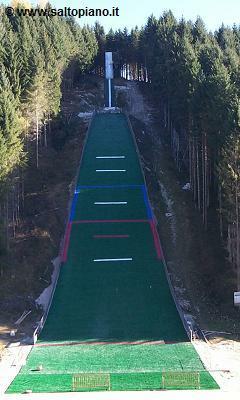 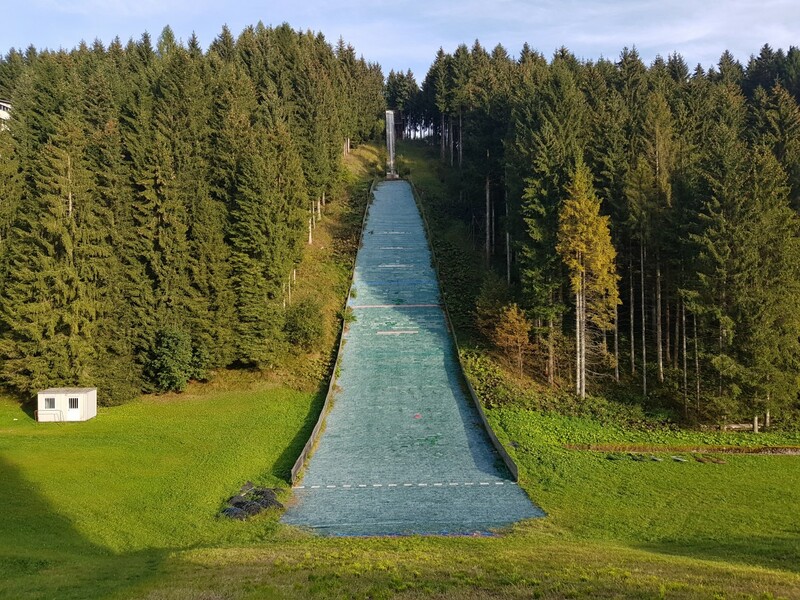 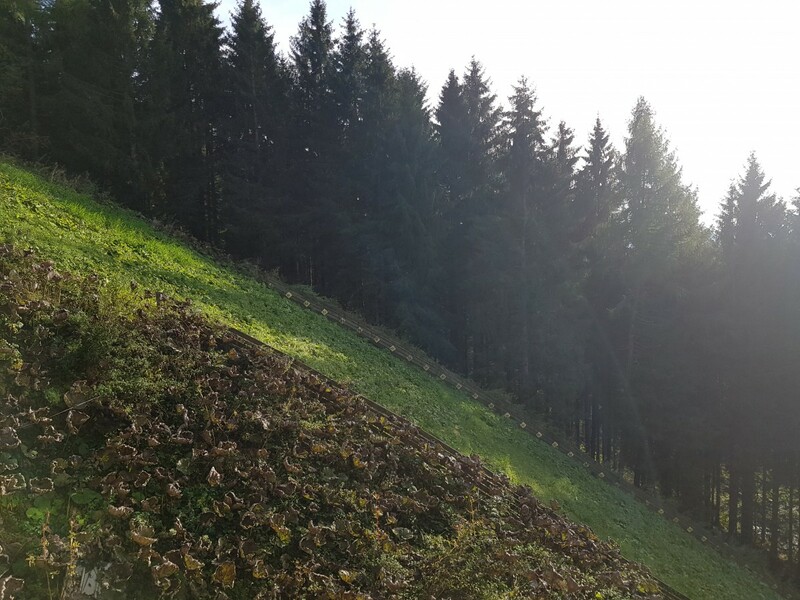 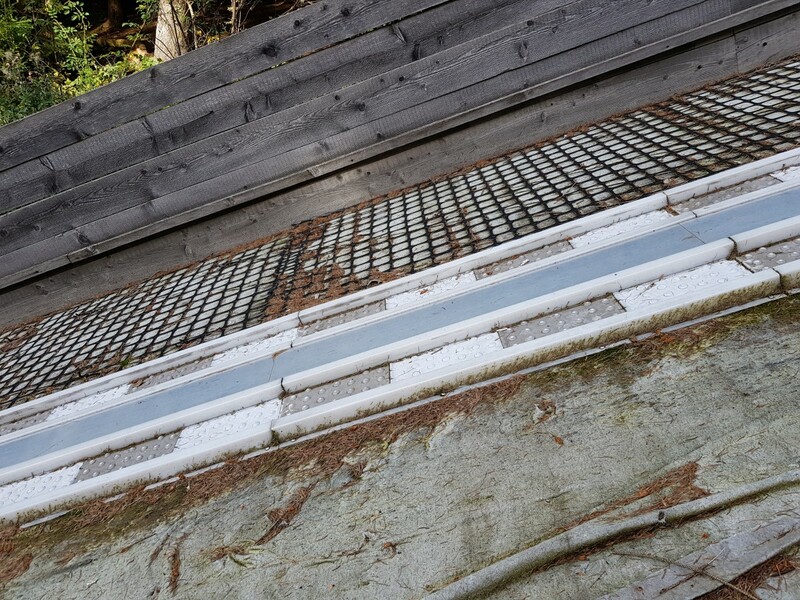 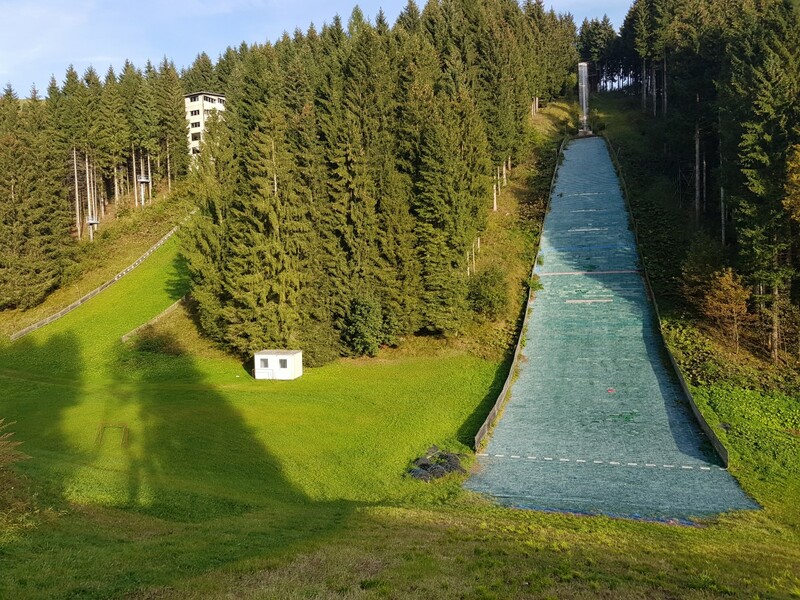 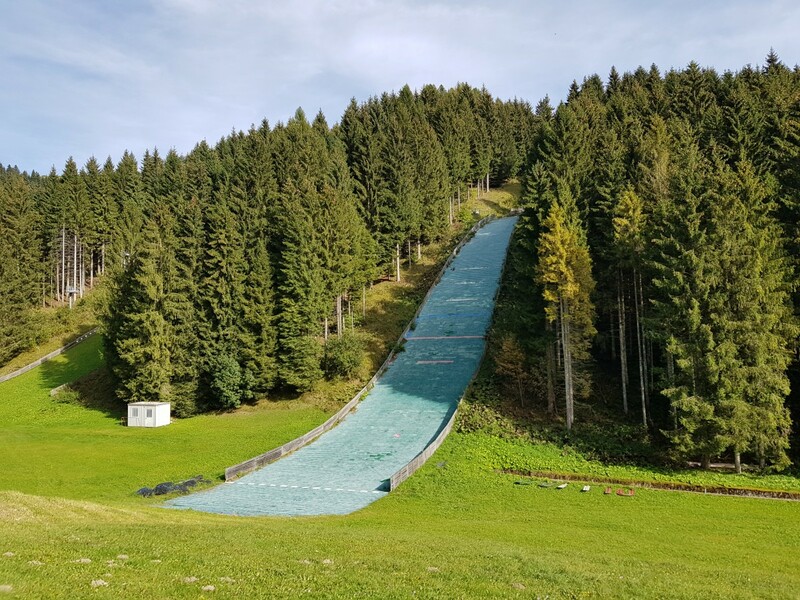 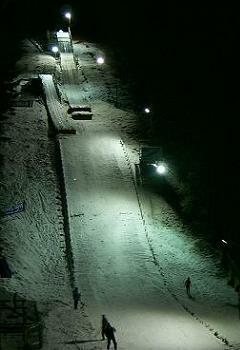 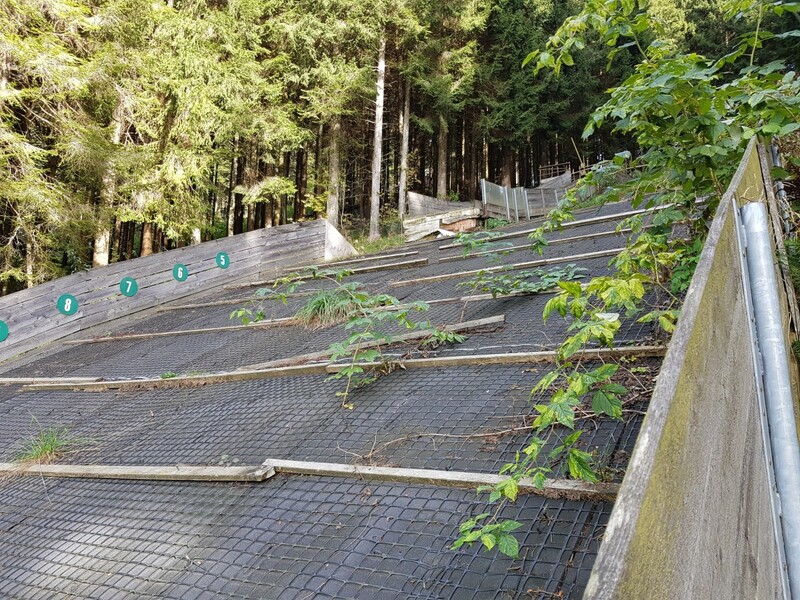 The junior jumping hills are all together covered with new plastic mattings and have ceramic inrun trails. 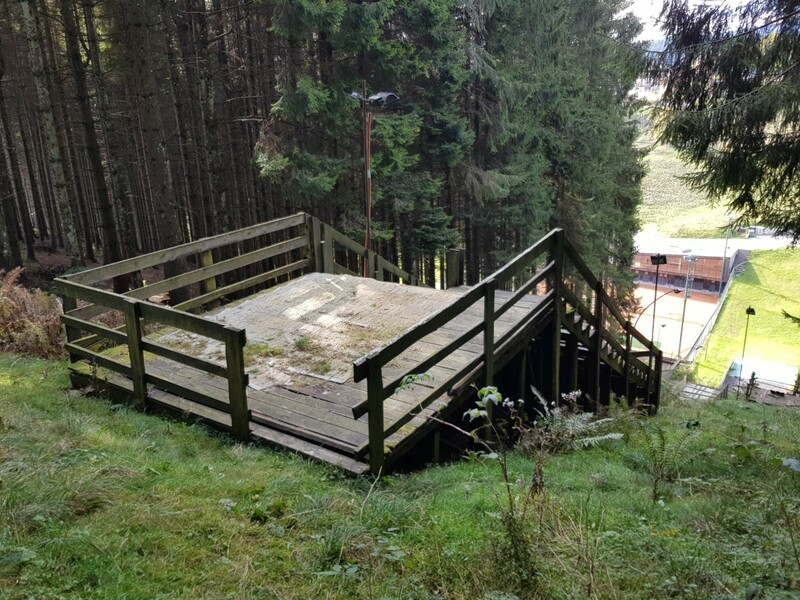 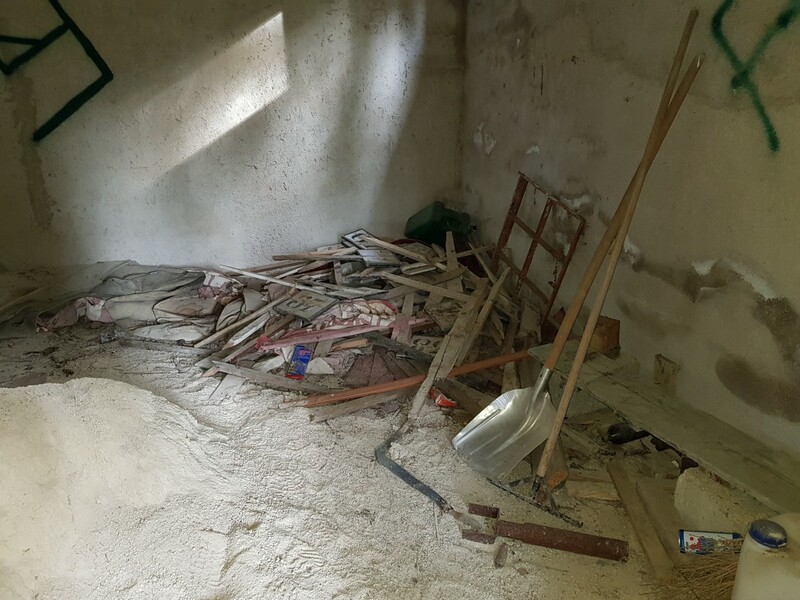 Skocznia K92 HS103 nie posiada igelitu, poza tym na pewno już nie jest używana.